I was so-so for the first half of the book and completely enamored with the second half. Hear me out! Kestrel is the daughter of a powerful military general. She’s of an age where she has two choices: get hitched or join the military. In a casual outing to a slave auction with a friend, she pays a substantial amount of money a hottie slave boy, mostly because the auctioneer said he could sing. The Valorian enslaved the Herrani after conquering them a decade prior. The Valorian are esteemed for their military prowess and pride, whereas the Herrani were a peaceful, docile people. 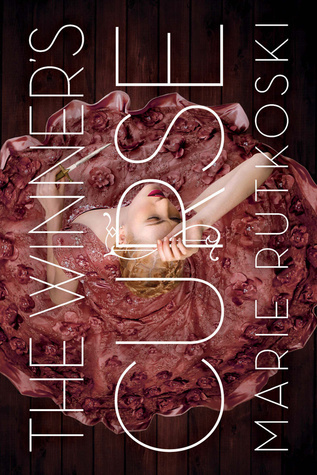 The world-building in The Winner’s Curse was fantastic. It was spread out evenly, rather than being dumped on the reader at once during the first chapter. I never felt overwhelmed with info, and enjoyed the small details sprinkled throughout the story. The first half was slightly boring and mildly irritating, primarily because Kestrel was indecisive and a weak heroine. She seems spineless, preferring to play the piano rather than defend her country as her father wishes her to. Arin, the slave she purchased, was extremely prickly and mean—but Kestrel still wanted to hang out with him. The second half was the redeeming factor—Kestrel grew a spine, Arin softened up, and sh*t hits the fan. There were several plot twists that I wasn’t expecting. I felt all of the feels and swoons for Kestrel and Arin, though I was angry at both of them and felt the same mix of emotions they felt. Overall, I thought it was a great fantasy story with complex characters, plot construction, and world building. I rated it a 5/5 on Goodreads, despite the lacking first half—I’m incredibly excited for the second book, The Winner’s Crime, to come out in March!